Fans of Vertigo’s on-going comic book series Fables will find a lot to like in this spin-off. Collecting six issues of Fairest centering on Cinderella as a secret agent hot on the trail of a new human-rodent hybrid. Her adventures take her across the entire world, where she has various run-ins with familiar fairy-tale faces. If you’re not familiar with the on-going plot threads from Fables and the first three collections in this series, you may be a bit confused at first. This comic series doesn’t follow the old Stan Lee rule of consider every issue to be someone’s first issue. But even not knowing every detail, I was still able to dig in and enjoy some sparkling (at times) dialogue and a good fairy-tale spy thriller. Adding to my enjoyment of this book is a consistent artistic style that allowed me to identify each character from issue to issue with ease. The included single issue covers are also a highlight of the collection, paying homage to the spy novels and thrillers of a by-gone era. Of Mice and Men reminded me that there are interesting things being done in comic books today and that I’m behind on a lot of it. It encouraged me to seek out other collections within the Fables universe and maybe get caught up a bit before the series winds down early next year. Maybe after reading some of the issues that lead up to it, I will give this one another shot and come away with a greater appreciation for how some of what I read hit fits into the larger narrative unfolding. But even if I don’t, I still enjoyed the art, the story and the characters. A solid collection of six issues — and you won’t turn into a pumpkin if you don’t read it before midnight. I vividly recall reading Stephen King’s Cujo as a teenager and being utterly riveted and unnerved by it, especially the last third of the novel when two of our heroes are trapped in a car with the rabid Cujo outside, trying desperately to get at them. King created such a palate in my mind that I’ve never gone anywhere near the movie version of the book. One reason is that I am not sure it could EVER be as terrifying and unnerving as the novel was. And the other reason is that I’m worried that it MIGHT somehow be as terrifying and unnerving as the novel was. I few years ago, I wondered if and how the novel would hold up for scaring me. So, I checked out the audio book from my local library and listened to it. (Review here, if you’re interested) Twenty years later, it still had the same impact on me. King has written a lot of other scary and unnerving books, but it’s this one that really got under my skin the most. If I hadn’t read Ben H. Winter’s The Last Policeman trilogy this year, I might have enjoyed We All Looked Up a lot more than I did. Both novels start from a similar point — an asteroid is bearing down on Earth, ready to wipe out life as we know it. But where Winters’ trilogy centered on a single character and gave us an extended view of how society might break down under the threat of imminent chaos and destruction, Tommy Wallach’s novel details only a few months of the final days and centers on four teenagers whose lives intersect during the final days of our planet. Before the news that an asteroid is hurtling toward our planet, our four teenagers are presented as your standard cliches — the driven student, the girl with the bad reputation, the stoner guy and the jock. Wallach introduces us to each of them before the idea of the asteroid is brought front and center and shows us how each person got their reputation and self-image and whether or not its fully applicable to the person. (In most cases, there’s a hint of truth to it, but things have been blown out of proportion). Then news of the asteroid shows up and everything changes. The driven student suddenly finds that all the sacrifices she made for the future her parents wanted for her have become less important since in all likelihood she won’t live to fulfill them. 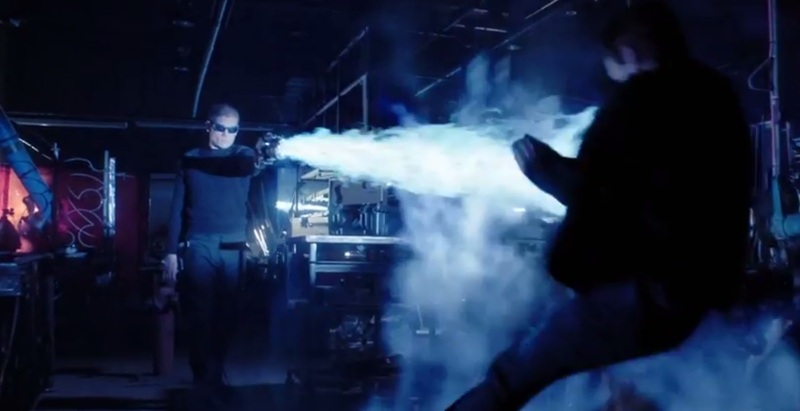 One of the other character makes a bet with his friend that he’ll sleep with the girl with the bad reputation before the world ends. There are some interesting observations about how society would collapse in the face of imminent destruction (one interesting observation is how very few people would actually use calculus with or without global destruction looming large). But the closer we get to the end of the world, the less interested I became in the characters as a whole. Once each character has shed his or her definition, it doesn’t feel like anything interesting or compelling really happens to them. It leads to me walking away from the book a bit less enthusiastic about it than I was initially. 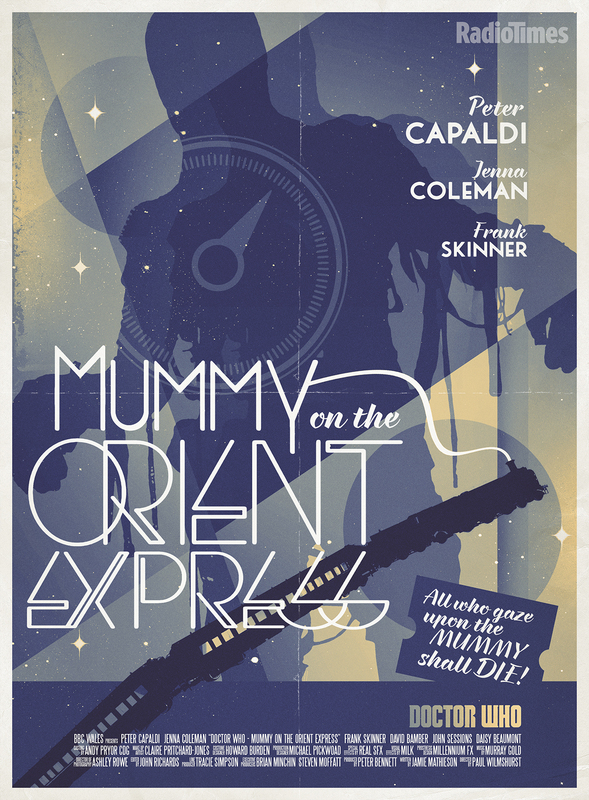 Since I’m behind on my Doctor Who reviewing, I’m offering commentary on “Mummy on the Orient Express” and “Flatline” in one post. It’s two posts for the price of one! In the 80’s, the production team wanted to introduce audiences to a more alien, less likeable Doctor who would slowly mellow over time and become more and more liked by the audience. The result was the sixth Doctor and the plan didn’t exactly go, well, as planned. Colin Baker’s era was one of the most polarizing in the classic series run and led to the show becoming the target of a great deal in internal criticism at the BBC and the show going on hiatus for eighteen months. With the Peter Capaldi era, I feel like that in addition to destructing the character of the Doctor, Steven Moffat has taken on that task of giving us a more alien, less likeable Doctor and is showing us how it could have and should have been done. With “Mummy” we look into the question of just how the Doctor goes about solving the problem or defeating the alien threat facing him in each story. Do the ends justify the means? In this case, it’s a high body count (nothing new, just watch any story by Robert Holmes) that piles up before the Doctor can come up with a way to stop the Mummy from killing everyone on the train. 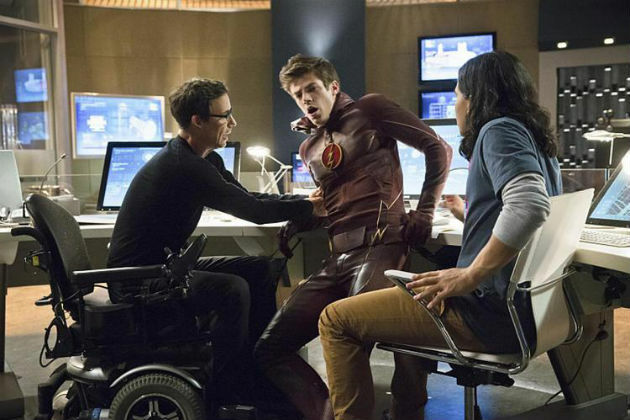 Does the Doctor have the right to ask each of these various people to sacrifice themselves in the interest of obtaining data on how to defeat the Mummy and Gus, who has lured the Doctor into this particular trap (interestingly, the Doctor has turned down multiple invitations to come on board and solve this until Clara threatens to leave him. More on this later). The Doctor realizes there is a way to stop the Mummy, but it takes data (in this case the death of innocent people) to give him the pieces he needs to solve the puzzle. 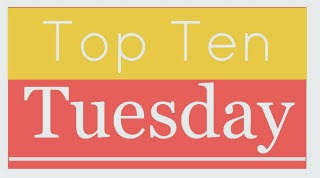 This week’s Top Ten Tuesday is looking at the top ten new series you’d like to start and/or add to the TBR pile. I’ll admit that when it comes to starting a series, it can be a fine line for me. There are times when I am averse to starting a new series simply because of the sheer number of books behind that I am and feeling a bit overwhelmed at having to catch-up (I’m looking at you Wheel of Time series). But there are times when I’m ready to jump right in and start catching up, even if it’s slowly. And so here we go with my top ten series. 1. 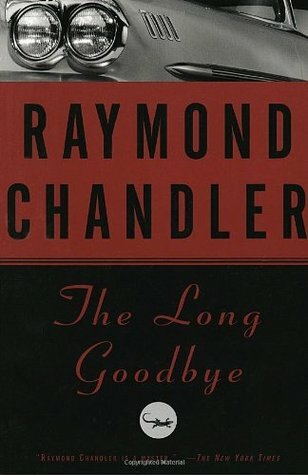 Phillip Marlow by Raymond Chandler — A local book store has started a book club discussing entries from the 1000 Books You Should Read Before You Die and the first selection is The Long Goodbye. Given my love of Michael Connelly, I’m curious to delve into the Marlow series of books. 2. 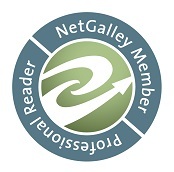 The Stormlight Archive by Brandon Sanderson — I’ve got both entries in the series sitting on my shelf and I’ve heard great things about them from readers with similar tastes. I’ve enjoyed several other Sanderson novels and really want to give these a shot before I get too far behind and feel overwhelmed by how much I have to catch up like The Wheel of Time. 3. Joseph O’Laughlin series by Michael Robotham. After seeing some reviews for the latest entry in the series, I picked it up and read it, not knowing it was an on-going series. Luckily, it appears they’re stand-along mysteries with on-going character elements so I wasn’t too confused. But I was intrigued enough to pick up the first two installments and add them to the TBR pile. 4. The War Against the Chtorr by David Gerrold. Gerrold penned a couple of episodes of Star Trek as well as a tie-in novel that I read and enjoyed. I’m curious to see what his world-building is like in a universe that is entirely his own. 5. Imperial Radch by Anne Lemke. Ancillary Justice won the Hugo last year and I meant to read it before the awards were announced. Now there’s a sequel out and I hear it’s a trilogy. 6. Sandman by Neil Gaiman. It’s hard for me to admit that I haven’t read the entire run of Sandman by Gaiman, despite a)my public library having all the collected editions and b)my love of Gaiman. But I haven’t and I really need to cross this one of the TBR list. 7. The Maze Runner by James Dashner — I’m curious to see what the buzz is about and I’d like to at least read the first one before seeing the movie. 8. Hundred Oaks by Miranda Kenneally. Part of it is that the series is set in Nashville and I love catching all the local references in the book. 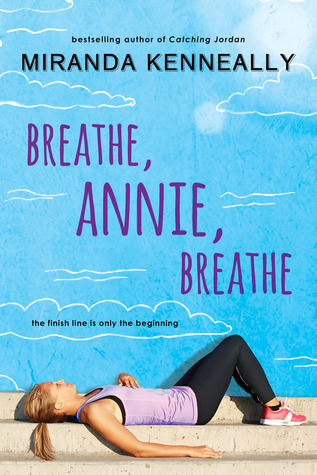 And part of it is that Breathe Annie Breathe is a great young adult novel in which teenagers act like teenagers and the entire thing feels authentic. These would be perfect books to listen to while on long runs. I may have to look into that. 9. The Expanse by James S.A. Corey. Read and loved Leviathan Wakes. Then got excited and tried to put book two on reserve at my local library only to put book four on reserve instead. So now I’m back on the waiting list for book two. 10. Silo by Hugh Howley. Another one where I’ve read the first installment and need to read the rest of the series. And because I am terrible at following rules, I will give honorable mentions to two more series. One is Fables by Bill Willingham and the other is the collections of the full run of Peanuts comic strips.